This research paper examines the PPP theory for ASEAN-5 by utilizing panel data. PPP theory states that the exchange rate between two nations should be the same as the ratio of the aggregate price levels between the two nations. PPP is a tool used to determine the general economic welfare of countries. Because of its importance, a lot of effort has been put into testing the validity of the long-run purchasing power parity. 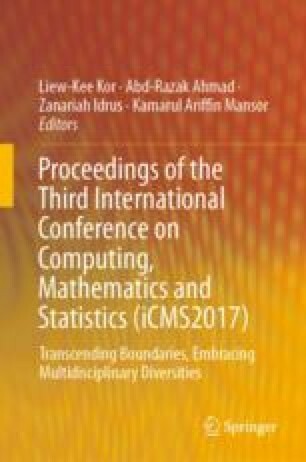 This paper tries to examine if PPP exists in ASEAN-5 using very recent data set and Robust methods. Applying the Mean Group (MG) and the Pooled Mean Group (PMG) estimators, this paper finds sufficient evidence to support the PPP theory both in the short- and long-run. In long-run, domestic prices (LCPI) cause the nominal exchange rates to depreciate while the foreign price (LCPIUS) makes the nominal exchange rates to appreciate in ASEAN-5. However, in the short-run, only the foreign price is significant and causes the nominal exchange rates to appreciate. Consequently, depreciation makes exports cheaper, imports very expensive and cause inflation to increase. Nonetheless, appreciation of the nominal exchange rate will cause export to be more expensive, imports cheaper and thereby reducing inflation in ASEAN-5. In conclusion, the foreign price contributes more to the adjustments in the nominal exchange rates, thereby making the effect of nominal exchange rate appreciation more pronounced than depreciation in ASEAN-5.